Samsung created a new category of device when it released the Galaxy Note in 2011. Now, the Galaxy Note is just another big phone – with a stylus. Thankfully, it’s a beautiful phone with a really good stylus. 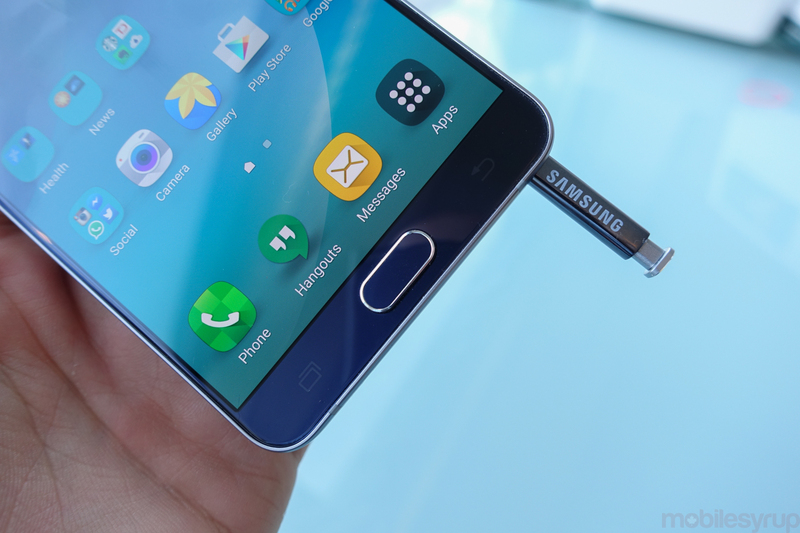 Now in its fifth iteration, the 5.7-inch Samsung Galaxy Note 5 is available in Canada. The Galaxy Note 5 can be purchased from Bell, Telus, Rogers, SaskTel, Wind, Videotron and MTS in Black Sapphire for $359.99 on a 2-year term, or upwards of $860 outright.